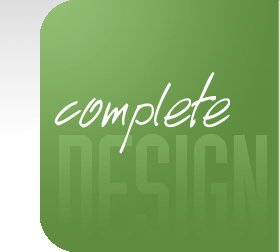 With over 25 years of graphic and web design experience, the Ferguson Design Group, LLC offers a unique blend of creativity and effectiveness that few can match. We offer professional grade Web site design, search engine optimization, graphic design, and video editing services – all at affordable prices many larger firms cannot equal. Located in Springboro, Ohio, our professional designers work closely with you to create and implement a personal marketing strategy that meets all of your needs. Discover what our satisfied clients already know - when it comes to personal attention and professional online results, there is no better partner to have than the Ferguson Design Group! Making sure your Web site is actually located when searching online seems like a logical enough concept. But if your competition regularly is listed ahead of you in Google™, Bing™ and Yahoo® guess who is going to get the business? Ferguson Design Group, LLC © 2011. All rights reserved.